Are you looking into Regenerative Medicine or Stem Cell Based Treatments? Then you have come to the right place. Gallagher Chiropractic and Wellness has teamed with Carolina Stem Cell Institute, LLC to offer premier Regenerative Stem Cell Therapy to meet your healthcare needs. Regenerative Stem Cell Therapy is a next-generation therapy treatment that works with your body to treat the source of your condition and target the underlying injury. This all-natural therapy has been used by celebrities, professional athletes, and our special forces, with the goal to avoid surgery and get back to daily activities. Regenerative Stem Cell Therapy has been used to successfully treat patients suffering from a variety of injuries, arthritis, degenerative conditions and other ailments that inhibit people from living a functional life. Stem cells are the basic building blocks of human tissue. They have the ability to repair, rebuild and rejuvenate tissues throughout the body. When disease or injury strikes, stem cells respond to specific signals and set out to facilitate the healing by differentiating into specialized cells. These specialized cells then release healing growth factors in response to the distress cell signal in an injured or pathologic area of the body required for the body’s repair. Over time, healthy tissue can become dysfunctional due to age and injury. A human stem cell and tissue product is administered to repair, reconstruct, replace, or supplement the same basic functions of your current tissue. The human body utilizes a variety of tissue and cell interactions to support the healing process. Regenerative Stem Cell Therapy supplements similar tissue in your body via scaffolding, growth factor, homeostatic and general cytokines. Due to their natural growth factors, stem cells not only work to accelerate the body’s natural healing process but also can replace the need for pain-killing medications. Positive results are often experienced within a short period of time after treatment, and the growth factors continue to work long term. 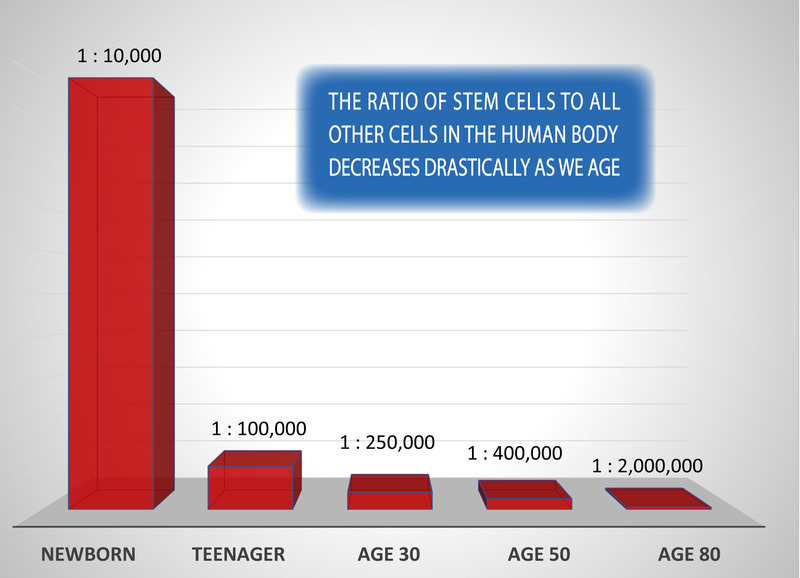 The stem cells in our bodies also undergo the process of aging but it is delayed as compared to most other human cells. Some stem cell sources, such as adipose (fat) derived mesenchymal stem cells (MSC) are available across all age groups. Infant derived MSCs are structurally spindle shaped, with long telomeres, and exhibit enhanced blood vessel and bone formation capabilities compared with older adult cells. Similarly, MSCs from bone marrow exhibit the same healthier trend but of course decline with age. In a paper discussing primate MSCs suggests there is an age-related decline in overall MSC ability, which might lead to problems when using aged MSCs for cell-based therapies from your own body as an adult. Therefore, our products are derived from a minimally manipulated human tissue allograft taken from the Wharton’s Jelly of the umbilical cord. All of our stem cells are ethically sourced and processed to preserve the structural integrity of Wharton’s jelly for homologous use and cryogenic preservation. MCSs derived from Wharton's Jelly have shown the ability to differentiate into both bone and cartilage cells. More information about the products we use can be found at predictivebiotech.com. With a third of the US suffering from chronic pain and over a million each year undergoing joint replacements, Regenerative Stem Cell Therapy could eliminate your pain and increase your mobility. Previous treatments may have included steroid injections, opioid (narcotic) pain medication, non-steroidal anti-inflammatory medications and even joint replacement. Regenerative Stem Cell Therapy is able to repair fibrous connective tissue and stimulate the formation of cartilage, tendon, ligaments and bone. 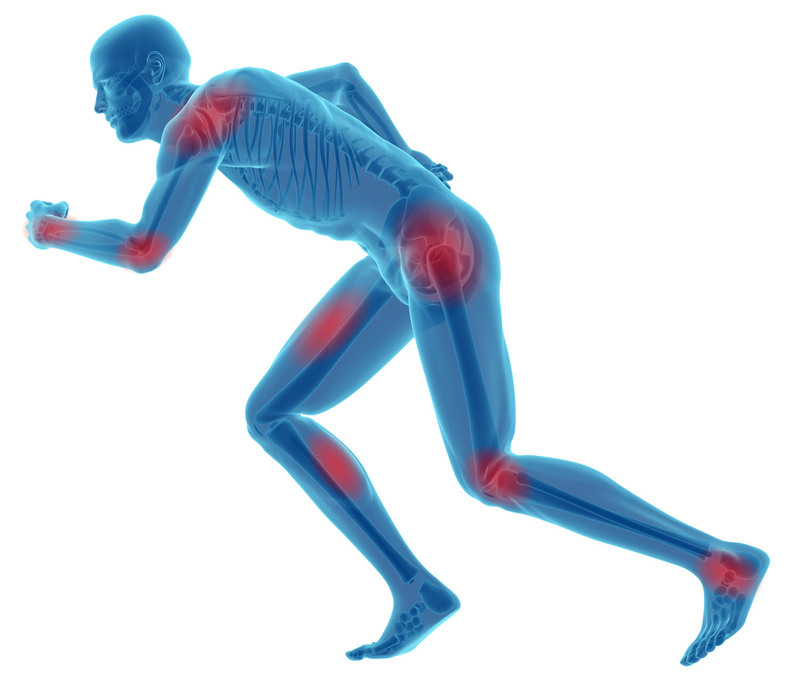 In addition to osteoarthritis, we have great success with muscle, bone and cartilage related issues. Regenerative Stem Cell Therapy isn't just for healing, but for longevity. We are continuing to pursue ways to help you die young, but at a very old age. Regenerative Stem Cell Therapy with umbilical matrix MSCs we believe is an exciting development, allowing the stem cell proliferation and differentiation capabilities to last several months in the elderly, versus just a few days. If you feel the effects of aging every day, yet your desire to live to the fullest and to operate at your best has not diminished, then Regenerative Stem Cell Therapy intravenously is a systemic alternative for self rejuvenation. We offer the best in science, treatment and wellness care, working with you to develop and implement a course of treatment tailor-made to instill confidence and spire a renewed sense of strength, confidence and joy.